Enjoy the full benefits of Scandinavian Baths at Scandinave Spa Blue Mountain. Experience the Finnish sauna, eucalyptus steam bath, thermal and Nordic waterfalls, hot baths and cold plunges. Complete the experience by enjoying the serenity of the solariums, relaxation areas and the outdoor fireplaces. The award-winning Scandinavian Baths are open daily in any weather - rain, sun or snow. Spa Guests must be aged 18+ years old. One Baths pass for each guest. Opt to upgrade your Baths Pass for a Registered Massage (subject to availability and requires advance reservation). The perfect way to unwind! Choose the optional Scandinave Spa Blue Mountain Baths pass when booking any of our rooms and receive a discounted room rate *. Your spa visit will follow a restful night at Danby House. Savour an optional gourmet breakfast in the morning. Sunday breakfasts are served at 9:00 am. It's a scenic drive through the Beaver Valley to Scandinave Spa Blue Mountain. We recommend spending 3-4 hours enjoying the Baths, then exploring the other things to see & do in the region. The Scandinavian Baths are offered on a first-come, first-serve basis. Weekends and holidays are very busy at Scandinave Spa Blue Mountain, especially in the winter months. Baths Guests may be subject to a wait list upon arrival. Afternoons and evenings are less busy. 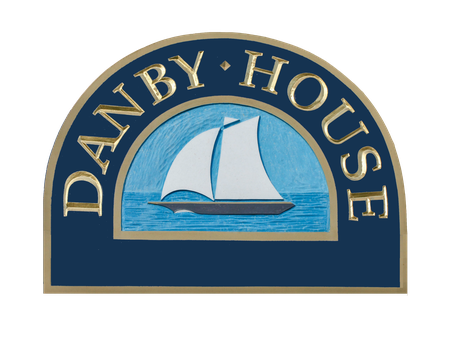 Danby House can assist with your visit after 2pm. Extend your stay to explore more of the Niagara Escarpment and scenic South Georgian Bay. Beautiful in any season! Regular room rates apply after the first night. To book this option, choose your room, then add the desired quantity of Scandinave Spa Baths passes and if breakfast is desired on the booking page. * Danby House will discount your room's rate 10% for your stay (excluding Holidays). Note that your reservation will appear at the full rate, but the room discount will be applied when your payment is processed. Spa packages are non-refundable.